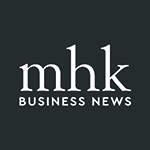 MHK Business, the only print + digital business-centric publication, is dedicated to highlighting and supporting entrepreneurs, businesses, events in and around the Greater Manhattan area. Our mission is to raise the visibility of young startups, innovative local businesses, events that empower entrepreneurs and educate the Manhattan region about our growth, our roots, and our future. This will connect entrepreneurs to entrepreneurs, the young and the wise, and the public at large. The result of this is a wider knowledge about what our area business community holds and igniting a strong synergy to grow the entrepreneurial ecosystem of our region and continued support of our local businesses. We aim to tell those who have great stories that may never be told. We have a growing community of entrepreneurs, investors, tech talent, and startups who believe in Manhattan, rested in the silicon prairie. This community can now stay connected here as this hub grows online. Thank you! We’re glad that you’re here. You’ll receive your first newsletter from us shortly. Our people are passionate about the Manhattan area. They are gifted storytellers across a variety of media. We are interested in working on a freelance and contract basis with writers, photographers, designers and videographers in the region. If you are interested in working with us, please visit our Submit page. In December 2016, The Fellow Coworking began highlighting entrepreneurs and creatives in Manhattan who were receiving national awards, launching new businesses, and creating some of the most innovative technology in the region. In the Summer of 2018, 502 – a strategic marketing agency located in Manhattan, Kansas, licensed MHK Business to create a quarterly print magazine journal of quality feature stories from our region. We cover startups, developments, entrepreneurs, tech and more. We’re also a startup. We also cover investors, and topics alike for small business. We have our own financial backers and sponsors. Our founder runs another company: one that makes money by supporting entrepreneurs (The Fellow Coworking) and will occasionally contribute to MHK.Business. These arrangements can easily result in conflicts of interest. So, we need to be transparent up front, and value that at all times. We plan to disclose the involvement of any entity backing MHK.Business, as well as our content, to the extent that we can. Should stories arise involving The Fellow Coworking or 502, our editorial advisory committee will judge them as they would any other story: based on merit.